Amanda Coffie is a Research Fellow at the Legon Center for International Affairs and Diplomacy, University of Ghana. She earned a PhD from the Department of Political Science, Carleton University, Ottawa, Canada. She also holds an MA in Political Science from Brock University, Canada, and a BA in Political Science from the University of Ghana. Her research spans a continuum of forced migration, from conflict zones, through asylum, repatriation, and transnational. Her work attends to issues of refugees, security, governance of migration and asylum, programs of host countries and international organizations, as well as post-conflict peacebuilding. 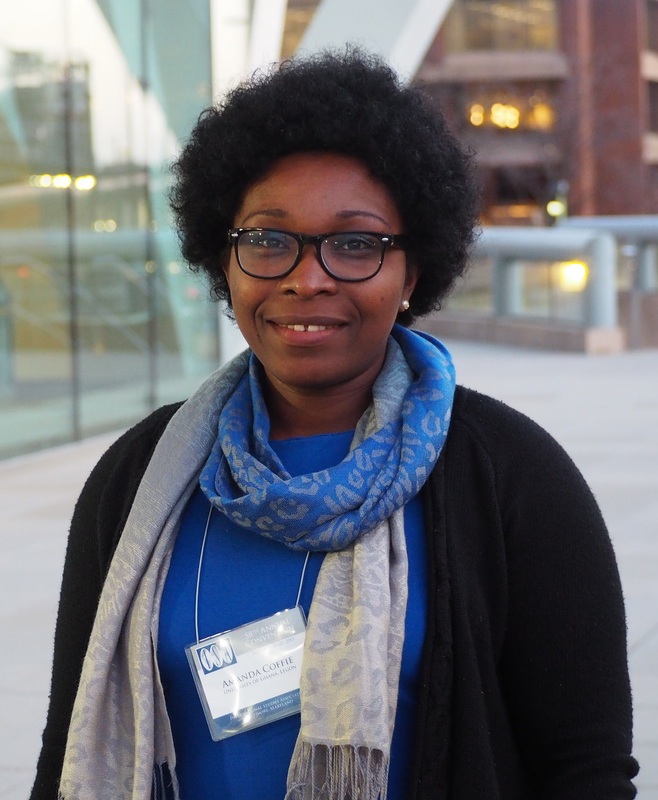 She is currently working on research into refugee diaspora participation in post-conflict Liberia. She is a 2016 recipient of the Social Science Research Council's African Peacebuilding Network's Individual Research Grant.